View on demand video replays of training webinars from the national Population Health Improvement Learning Collaborative. Two purchase options are available: 1.) Purchase 30-day access to a single 60-minute webinar(s) for $95 each; 2.) Purchase one-year access to the entire training library, including new videos added monthly through 2011, for $495 (a 75% savings). 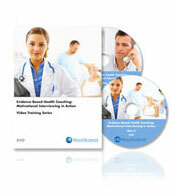 Either way, you will receive a PDF copy of each webinar and CE certificate. Each event is pre-approved for 1.0 hour toward CE recertification and may meet other recertification or licensure CE requirements.